This study builds on an earlier ERG project to carefully examine the causal mechanisms by which business skills training affects business outcomes using high frequency follow-up surveys. Small businesses are widely believed to serve as engines for innovation, employment and social mobility. Yet, data suggests that very few small and medium enterprises (SMEs) in developing countries grow into larger businesses. PEDL funding will support a series of high frequency follow-up surveys that will expand our understanding of how SMEs in low income countries operate and how improved business operations in turn affect the broader community. 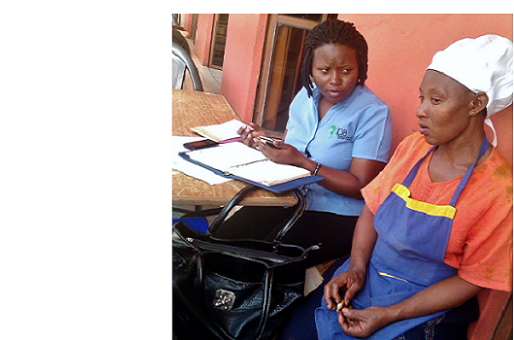 The proposed multiple survey rounds will augment an existing evaluation of TechnoServe’s Women Mean Business (WMB) program, which provides business skills training to women entrepreneurs in Central Uganda. Many studies of business training programs are unable to identify the causal mechanisms by which technical assistance affects business outcomes. The high frequency follow-up surveys in this study are tailored to understanding the specific changes in business processes resulting from the training, and the RCT design will allow the researchers to ascribe any differences in business operations or outcomes to the training itself. These high frequency surveys are expected to enable a better understanding of how businesses change (or do not change) over time as well as reduce the influence of short-term fluctuations in profits, revenue and expense measurements and facilitate better interviews as a result of shorter questionnaires and established relationships between enumerators and respondents. Alongside the follow-up surveys, the researchers are implementing a series of consumer-focused interviews in certain sectors. To date, studies of business training programs have focused exclusively on direct business outcomes. However, much of the benefit of improved business practices will likely accrue to consumers in the form of lower prices and higher quality goods and services. These consumer surveys will include detailed questions on the price, supply and quality of top-selling products, allowing the research team to precisely describe and quantify these overlooked and potentially important impacts. A combination of quantitative and qualitative data collection methods will be utilized to provide a more nuanced understanding of how the training affects pricing and supply decisions and how those changes influence consumer welfare, in turn allowing for more comprehensive knowledge on the broader impacts of the training program. The consumer-focused surveys will also allow the researchers to make an important and original contribution to the literature on the impacts of capacity-building for small businesses.